There is just something about trains. Most of the kids in our town have not been on one because of our geographic location, but there are still so many train fans! I’m happy to foster their interest during storytime. I’m an enthusiast, too! As usual, we started storytime with the Song Cube. Even with new families, there is always at least one child who knows how the Story Cube game works. This week one of the children told us which song she likes best. As I explained to the other children how we play with the cube, she told me which image symbolized her favorite song (Ring Around the Rosie, represented by a bunch of roses). It was a great opportunity to talk to families about the connection between the song cube and early literacy. Before our first book we sang a song I learned about on the Storytime Underground‘s Facebook page. Check out Storytime Underground for helpful tips and great conversation, both perfect for children’s librarians. I sing it before I read most of the books during storytime. If you’re ready for a story, clap your hands! 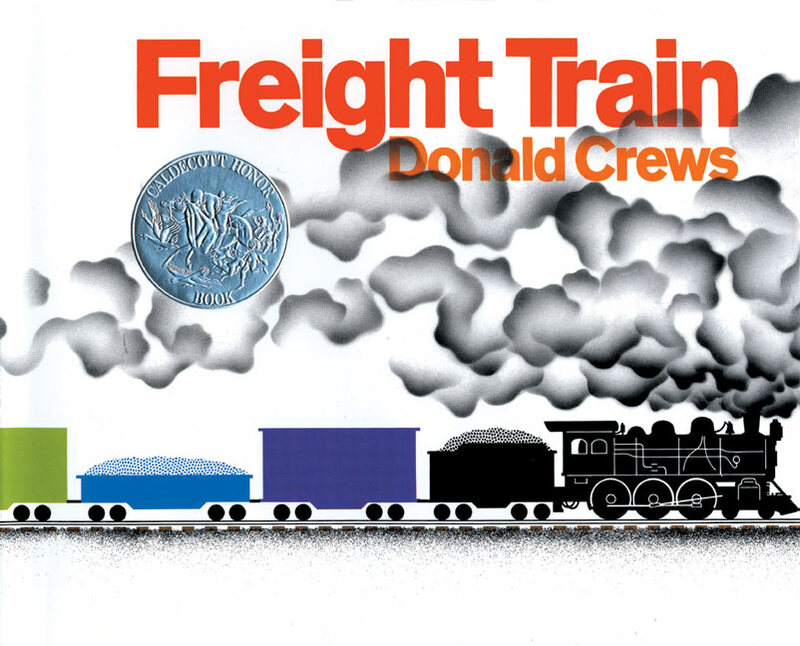 Our first book was a classic, Freight Train (Greenwillow Books, 1978) by Donald Crews. This is a nice book to start with because it has simple text, but offers opportunities for talking about topics and concepts like colors and the parts of a steam engine. Kids loved the book and were fascinated when I asked “where did the train go?” on the page with the train passing through the tunnel. Lots of conversation was had before we continued on. Inspired by Storytime Katie, I made a felt train similar to the trains in Freight Train. I didn’t retell the story, but I used them with the song Melissa Depper at Mel’s Desk crafted. The kids recognized the train cars and helped me place the trains on the feltboard as we sang the song. Many of the kids were mesmerized as they watched the train grow and listened for the rhyming sounds throughout the song. Lots of phonological awareness happening here! This theme is a great opportunity to share some non-fiction. The book Seymour Simon’s Book of Trains (Harper Collins Publishers, 2002) is not a book that can be read all the way through in storytime, but we discussed the images on the pages and the information about trains that might make it a good take home book. Kids were quick to point out the similarities between the trains in the book and the freight train in the first book. Before the next book, we repeated If You’re Ready for a Story with a different action that settled kids and got their attention back on reading together. The last book can be tricky for some kids to grasp in the storytime setting without explaining the premise. Shark vs. Train (Little Brown, 2010) by Chris Barton is the story of a shark and a train competing in challenges that are both ridiculous and practical based on the natural history of sharks and the mechanics of trains. It is also about two boys who are playing with the shark and train toys and are actually creating the story, which the reader learns until the end of the book. Kids need time to think about this aspect of the book, which I make sure to give them. Some kids even like to turn back through the book and check to see how it reads with this new knowledge. This week we had two activities. The first, most popular, station was actually right at their feet! Before story time I used masking tape to create a circular train track on the carpet. After the stories and songs, I brought out the collection of large LEGOs which we recently were gifted by the Alaska State Library. What a great present! We used the LEGOs to construct trains and all sorts of vehicles to run on the track. We used books to make tunnels, learned how to pass other trains (track manners), and talked a lot! This station was easy and had a huge impact. For kids too young for either station or just not interested, I left out a variety of train coloring pages printed from the internet. I use coloring pages with illustrations that are realistic, related to the theme, and commercial-free.